The secret is that there are dozens of websites from agencies around the world that will equip you with high quality satellite imagery. Not only can you can download some of the latest, greatest satellite imagery – but it’s all at NO CHARGE. And all you need to know is where to find them. If you want free satellite data, there’s no better way to do it then to follow this incredibly useful guide. Ranked from top to lower tier, here are your go-to free satellite imagery sources. Take a look at our list of eyes from the sky. Whether you live in the United States, in the Arctic circle or an obscure country like Transnistria, we can all appreciate the abundance of data the USGS Earth Explorer has to offer. 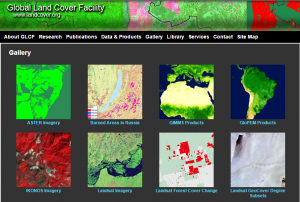 Access to Landsat satellite data – a legacy that goes unmatched. 40-years of history of our Earth with consistent spectral bands. Vertically position yourself with NASA’s ASTER and Shuttle Radar Topography Missions global Digital Elevation Models. Gain full access to NASA’s Land Data Products and Services including Hyperion’s hyperspectral data, MODIS & AVHRR land surface reflectance and disperse Radar data. We sound like a broken record. But USGS Earth Explorer is a world-class source of free satellite data. Regardless where you live, you NEED to look at the USGS Earth Explorer. Here’s your guide how to download free Landsat imagery from the USGS Earth Explorer. 2 ESA’s Sentinel Mission – New Leader in Free High Resolution Data? Sentinel-2a and 2b have crisper spatial resolution (10 meters in the visible and near-infrared). More spectral bands (12 in total). And most important of all, it’s free satellite imagery for the masses. Add Sentinel-1 into the equation. Now, you have C-band Synthetic Aperture Radar of the entire world at your fingertips. Simply put, Sentinel satellites give you high quality passive and active data of the entire Earth. READ MORE: What’s the Difference Between Active and Passive? In the last year or so, ESA’s Sentinel 2A has dethroned Landsat as the undisputed world champion of free high spatial resolution satellite data. Bold statement? SAR-C from Sentinel-1. Add the 12 spectral bands from Sentinel 2A. It’s not such a bold statement, after all. You’re wise to take a look at the sharpest, free satellite imagery source available from the European Space Agency. Because NOAA will take you on a journey to fistsful of free high quality atmospheric data sets (and more). NOAA uses an online library system called the Comprehensive Large Array-data Stewardship System (CLASS) to store a plethora of environmental data. Data comes from the US Department of Defense (DoD) Polar-orbiting Operational Environmental Satellite (POES), NOAA’s Geostationary Operational Environmental Satellite (GOES), and other derived data. Currently, the NOAA National Data Centers support POES, DMSP, GOES, MetOp, Jason-2 data, and selected model reanalysis data. It will archive data collections from the NPP, JPSS (formerly NPOESS), GOES-R, Jason-3, and planned Earth-based observing systems include NEXRAD products. A LOT is here. But we found it a bit hard to navigate in NOAA’s CLASS. The user-friendliness from the USGS Earth Explorer and Sentinel Science Data Hub simply can’t be beat. Admittedly, it takes a bit of practice to navigate. There are 30 ways to narrow down your data. Our suggestion is to start with a simple search. Change the time range criteria. Narrow it down, and download your free satellite imagery. You’ll get the hang of it, after a couple of tries. This NASA’s EarthData Search Usage Tutorial will help. The Earth Observation Link (EOLi) is the European Space Agency’s client for Earth Observation Catalog and Ordering Services. The EOLi is a bit dated. It’s a JAVA application that you can download to your PC. It works on any major operating system. While slow and buggy, you can browse and preview images from Earth Observation data from Envisat, ERS, IKONOS, DMC, ALOS, SPOT, Kompsat, Proba, IRS, SCISAT. Select your study area or add a shapefile or KMZ. Select your satellite collection with a limit of 10 to search from. Click “Search catalogue”. If satellite data is available, click Append. The search results will be shown in the bottom with scene previews on the right. Select the scene you want to download, and click the order button (shopping cart). The partnership between Brazil and China has their own image catalog of remotely-sensed data which lets you download free satellite imagery using the INPE Image Catalog. The catalog includes satellite imagery from their own China–Brazil Earth Resources Satellite 2 and 2b (CBERS-2, CBERS-2b). It includes satellites from the United States, the United Kingdom and the India from Aqua, CBERS, Landsat, ResourceSat, S-NPP, Terra & UK-DMC 2. The one caveat is that the data is specific to South America and Africa. You’ll have to create an account because each request you make will be sent to your email. You can use your English translation to translate from Portuguese. Select your satellite and sensor. Choose a country in South America and Africa. Add it to your cart, and click “Go Ahead”. From there you can download your chosen free satellite imagery from the INPE FTP site. India has really made big strides in satellite remote sensing technology. It dates back to 1998 with the launch of the Indian Remote Sensing (IRS 1A) satellite. Now, data is available on the Bhuvan Indian Geo-Platform. The platform is well-built but most of the data is for India only. This includes IMS-1 (Hyperspectral), Cartosat, OceanSat and ResourceSat – which are all Indian satellites. The following products are available to download outside of India – NDVI (Normalized Difference Vegetation Index) Global Coverage, CartoDem Version -3R1 for SAARC countries and Climate products for North Indian Ocean. The ALOS World 3d is a 30-meter spatial resolution digital surface model (DSM) constructed by the Japan Aerospace Exploration Agency’s (JAXA). Recently, this DSM has been made available to the public. The neat thing about is that it is the most precise global-scale elevation data at this time using the Advanced Land Observing Satellite “DAICHI” (ALOS) – PALSAR’s L-band. JAXA’s SAR mosaics is an exciting development for global elevation. In order to obtain this highly accurate DSM, you’ll have to register online through the JAXA Global ALOS portal to download it. Once upon a time, the NOAA Aerial Photo Ordering System was the place to go for aerial photos in the United States. It’s currently MIA – missing in action. NOAA Data Access Viewer is now the place to go for imagery, land cover and elevation data. Here’s where you discover authoritative datasets, customize and download the latest, greatest data – all free. It’s in beta mode now. The download speeds are slow and sluggish. There’s no registration needed in beta mode – which is its current state at this time. We’ll be adjusting this write-up as all the kinks get ironed out. The VITO Vision website offers PROBA-V, SPOT-Vegetation and METOP free satellite imagery. These coarse resolution satellites carves out vegetation patterns of the Earth’s surface. It takes some time and effort to create an account for VITO Vision. The interface is easy-to-use and delivers free low resolution satellite data at your fingertips. This type of data is a good for large-scale applications that doesn’t need the finer details. It’s all about the beautiful seashore, when you’re exploring for data on NOAA’s Digital Coast. Coastal data is all you’re going to get. To download data, select your area of interest. Define your data set to download. And sift through the results. You have benthic, elevation, imagery, land cover and socio-economic data. 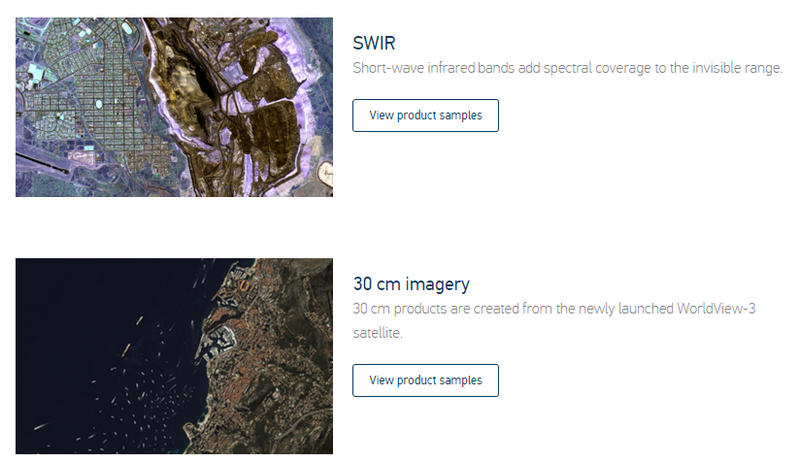 You get a range of free satellite imagery to choose from such as radar, infrared and true color composites. Landcover.org is your location for derived global land cover data from Landsat, MODIS and AVHRR satellite imagery. Using Global Land Cover Facility (GLCF) land cover, research efforts can quantify land cover and land cover change around the world. This includes vegetation, geologic, agriculture, hydrologic and urban areas on the Earth’s surface. We have never had this good of a perspective of our changing planet because of satellite imagery. Some of the biggest challenges that our planet faces can be better understood because remote sensing cover that much ground. DigitalGlobe is the THE largest commercial satellite data supplier in the world… If you want to play with some of the sharpest satellite data in the world, these free satellite imagery samples are just for you. You can almost see license plates with the 30 cm spatial resolution data from the newly launched WorldView-3 satellite. The spectacular Advanced Elevation Series shines in fields such as exploration, engineering, land management and simulation. Test high spatial resolution short-wave infrared (SWIR) bands and see the invisible range that can’t be seen with the human eye. DigitalGlobe always delivers on their promise on seeing a better world. 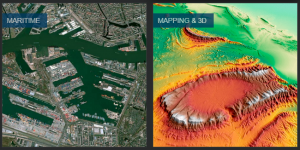 See DigitalGlobe’s product samples and find out exactly what you are missing out on. The Geo Airbus Defense System is your provider for SPOT, Pleiades, RapidEye and TerraSAR data. Timely and accurate satellite data from these satellites are being used in a variety of fields like security, oil & gas, mining & energy, agriculture, environment and disaster mapping. It offers sample products for you to experiment with. And there’s a lot to work with here, with beautiful satellite imagery of places around the world. If you don’t know who UNAVCO is, here’s a quick and helpful 3 minute video to learn what UNAVCO is all about – UNAVCO Explained in 3 Minutes. University NAVSTAR Consortium (UNAVCO) is an organization of universities who support scientific research using geodesy technology. Flooding, plate tectonics, earthquakes – our world is all connected. UNAVCO promotes research by providing access to geodesy data. They do this with their own UNAVCO SAR Archive Search User Interface. This website is flooded with Synthetic Aperture Radar satellites sources – and that’s a good thing. But you’ll need a username and password to get your hands on your very own SAR data. This could be a big hurdle in the process. Satellite data has opened up new channels on how we view the planet. You’ve learned that instead of spending days searching for a good basemap, you can tap into this list of free satellite imagery data. You’ve learned some of the key data centers to obtain free satellite imagery from around the globe. …But did we miss anything? SPOT-1 (Satellite Pour l’Observation de la Terre) was a French commercial satellite launched in 1986 initiated by the French Space Agency (CNES). Thanks that’s very helpful ……. What’s the name of the magazine that had a recent article about treasure/, oin & archeaological (sic) hunters, (the most recent find of ancient coins in England?) They had searched through satellite and found, or saw from the sky, ancient Middle-Aged furrows on a farm in England, Is it Discovery Magazine? Or is it National Geographic? This article also had a list of free websites for explorers and “legal” hunters of ancient coins & artifacts. – Spot World Heritage : CNES started reprocessing the whole SPOT archive. It is a long term project, but already nearly 100 000 SPOT archive images from various sites are available, ortho rectified and expressed in TOA reflectance. Several siltes are available all over the world. – LANDSAT L2A : surface reflectance Landsat data are systematically produced and distributed over France, since 2009. – SPOT (Take5) : SPOT4 and SPOT5 satellites, at the end of their operational life, were used to produce time series of images above 190 sites, with a repetitivity of 5 days, similar to the repetitivity that will be provided by Sentinel-2 images when the second satellite is operational. Very good list, thank you. But just to be clear, the highest resolution, completely free satellite imagery I or anyone is going to find is still the Sentinel 2a&b 10m images, correct? These 1.5m-30cm images are tantalizing, but I’ve contacted some of those sites in the recent past and the prices for imagery already on hand is astronomical. Sigh. is there any hyper-spectral resolution free satellite images? Actually the best satellite seems to be just plain old google maps. Hi I’m looking for photos of particular time from an event that happened to my family putting them in danger, can you advise how to get these images? Ummmmm, I don’t know where you are from, but in my neck of the woods, a license plate is about half of 30 cm long, so at best, it would occupy ~1/4 of a pixel or 1/8 to 1/16 of 2-4 pixels. That is assuming it is laying face up…..
Ain’t no way that is “almost able to read”, not even close. You can not even see that there is a plate there. Are historical satellite images available for free, or is it just current imagery? There are others. Look into USGS Earth Explorer for more details. Hi; Which would be the best site to download imagery for a golf course guide? The number 1 option for free satellite imagery would be Sentinel-2. However, the best pixel resolution would be 10 meters. Is there any satellites which gives past images of any structure/locations? I want to download the hyperspectral images of some urban areas. which sensor/satellite should I use. You may want to have a look at the GeoViewer of VITO? I use to utilize Arc2Earth to bring Googlemaps right into my GIS projects as background imagery. Imagery was sharp and loaded quickly. Unfortunately Arc2Earth went out of business and no one seems to have replaced them. I think there was licensing problems with Google. Where can I access imagery as good as Google for a decent cost? I am not interested in downloading data/tiles for every project. Right now I am using Bing maps thru ArcGIS online. Their imagery seems to be not as sharp as Google in most cases. This is a very impressive list. What would be the best source to detect FIRE globally as fast as possible?